I know how crazy those days leading up to Christmas break can get. The kids are ready to be done, and let’s face it, teachers are usually ready to be done too! It can be hard to keep kids engaged during this time. Or maybe you teach high school and you’re gearing up for final exams. What are your kids supposed to do when they’ve finished? 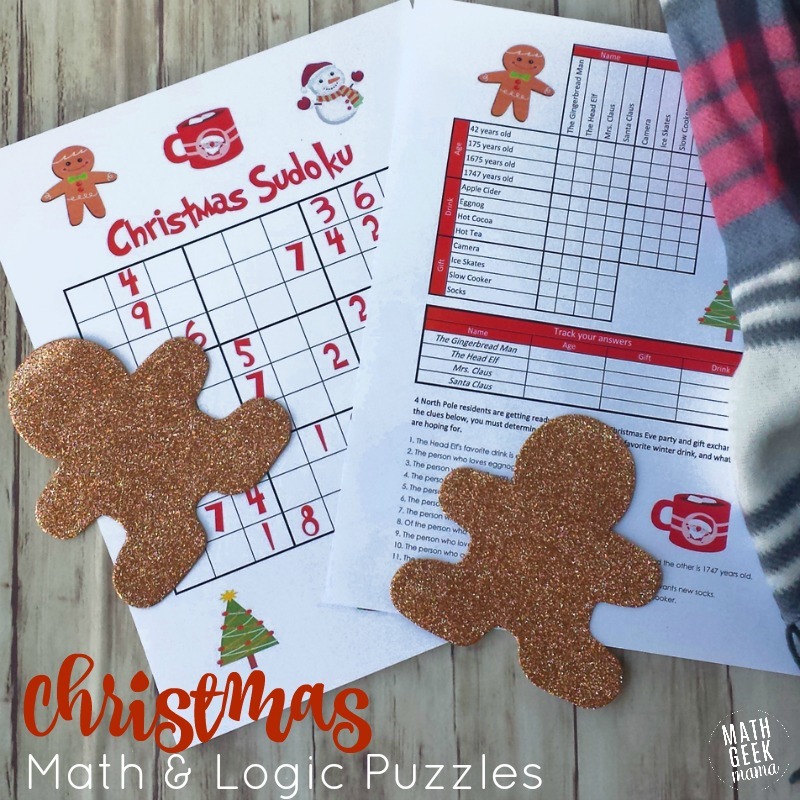 Well today, I’m sharing a fun, yet challenging set of Christmas math puzzles to help your kids deepen their logical thinking skills and provide a quick and easy math activity to help you get through those last few days! Although teaching logical reasoning and critical thinking is essential, this is often something that’s not covered much in standard math textbooks. So holidays, or after test, etc. are great times to sneak in some extra practice. The great thing about these Christmas math puzzles is that kids don’t usually see them as work (or math). They see them as a fun challenge! You could even offer some kind of incentive to really get your kids excited to rise to the challenge, such as special prize for anyone (or any group) who correctly solves them. The first type of logic puzzle included is a grid puzzle. The challenge on this cute, Christmas themed logic puzzle is to determine the gift, age and favorite drink of various Christmas characters including Santa, Mrs Claus, the head elf, and the gingerbread man. 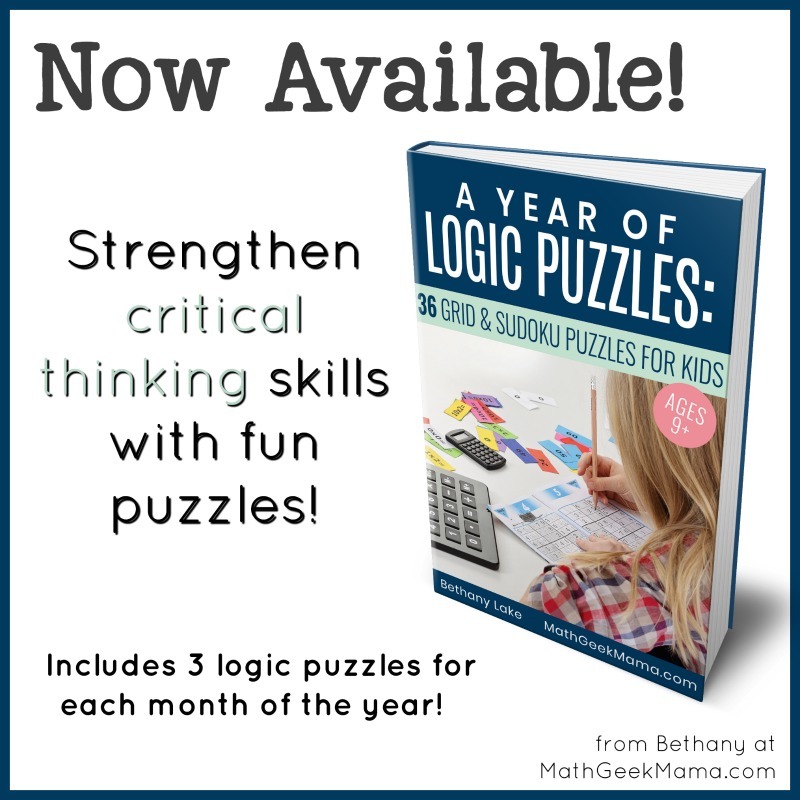 To solve the puzzles, kids have to use the logic clues given, along with the grid to keep track of what they know, and reason logically through what they don’t know. As they make sense of the clues, they mark the grid with checks or x’s to show what matches with each character until they determine all the solutions. 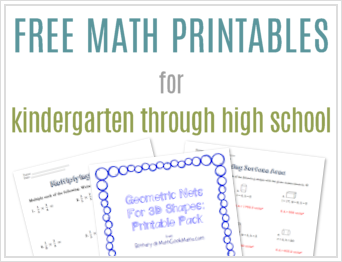 The download also includes an answer key, making this a fun and low prep Christmas math challenge for your middle or high school kids. 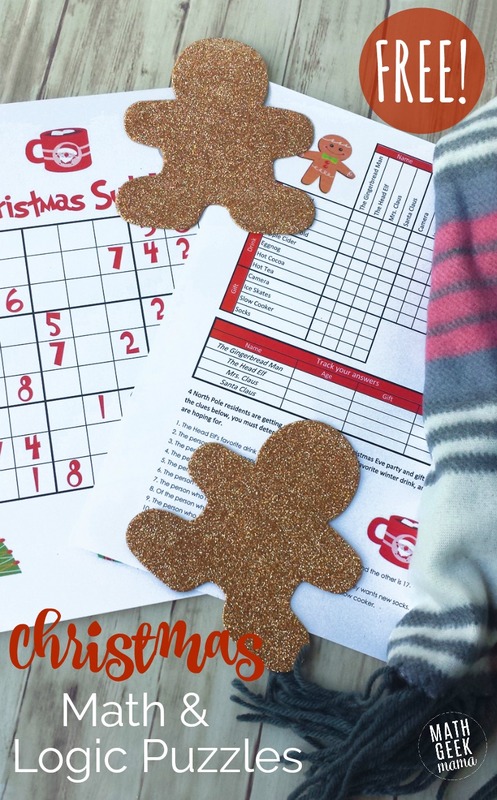 Also included in the download are 2 Christmas themed sudoku puzzles. Kids love these as well. 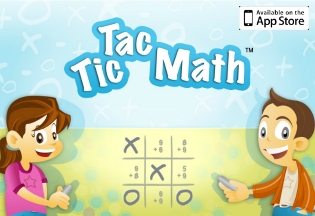 Plus, they challenge kids to put their logical reasoning to the test again. Although sudoku puzzles seem to be more common than grid puzzles, I’ll explain how to complete these as well. On a sudoku puzzle, you use the numbers 1-9 to fill in each box. The catch is that every row, column and 3×3 square can only use the numbers 1-9 one time. 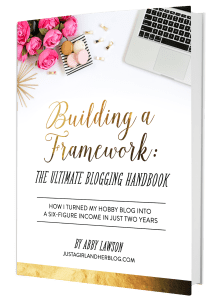 So to determine the missing number for a particular box, you must consider what numbers are possibilities given what’s already in that row/column/3×3 square. Again, the download includes answer keys for these puzzles as well. I hope these Christmas math puzzles provide a fun, yet challenging way to keep up your kids math and logic skills before the holiday break! And I hope they provide a fun break from the normal, everyday math routine. That’s always a good idea now and then!